The legend of the Gordian Knot is often used as a metaphor to describe an how an intractable problem can be solved by thinking “outside the box.” After my first month at the Sierra Nevada Alliance (Alliance), I realized that it will take some unconventional thinking to address environmental issues in the Sierra. The Alliance is a 501(c)(3) organization dedicated to protecting and restoring the natural environment of the Sierra Nevada. The Alliance is formed of over 90 member groups located across a 400-mile long mountain range, nearly spanning the entire state. 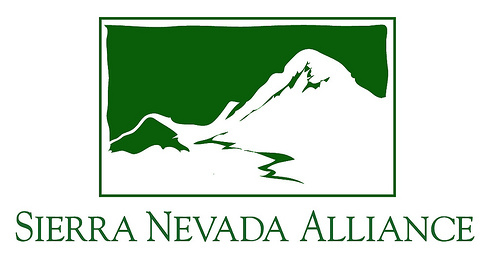 As the name suggests, the Alliance works on a relatively large geographic scale with a wide range of stakeholders and member groups but the organization itself can be divided into four main programs: Regional Climate Change, Sustainable Sierra Communities, Sustainable Organization and the Sierra Nevada AmeriCorps Partnership (SNAP). The Alliance is involved in a wide range of issues ranging from land use development, water planning, and climate change adaptation to watershed restoration and grassroots mobilization. Given the broad nature of the organization, one may wonder where I fit into this picture–an appropriate question indeed. I came across the Alliance through a fervent search for any sort of water resource management or water planning internship in California. 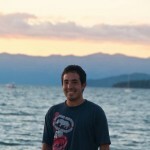 As a kid, I spent a great deal of time in the Sierra Nevada, in particular in and around Lake Tahoe and dreamt that I would have an opportunity to protect the lake and California’s water resources as a whole, so it was only logical that I jumped at the opportunity to intern with them in early January. Through a relentless barrage of emails, I came into contact with my eventual supervisor Gavin Feiger a program associate in the Regional Climate Change team and found that no such opportunities were available. I nearly gave up but by a stroke of luck, I was offered a position in late June. The term “Regional Climate Change” is one that is rather nebulous in nature and perhaps it was intentionally left that way to encompass the broad scope of topics that we work on. 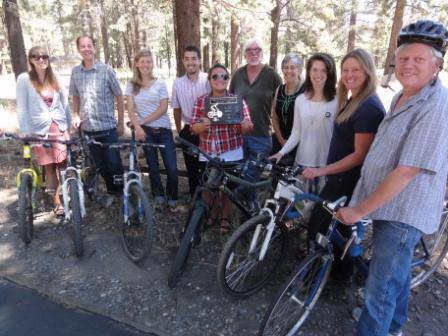 On any given day, we work on land use policy, water planning policy, transportation policy, and forest management as it pertains to the Sierra Nevada. Each one of these topics is unfathomably complex (at least in my eyes), and watching the members of my team breeze through these with ease made me think that there was some serious “outside the box” thinking going on. On my first day of work with the Alliance, I had one message burned into my head: managing environmental policy in the Sierra is COMPLEX. The threats to the mountain range are many, the Sierra is home to a huge percentage of California’s water and timber supplies, yet the threat of climate change and demand from users all over the state place immense strain on local resources. Finding feasible solutions is not easy. 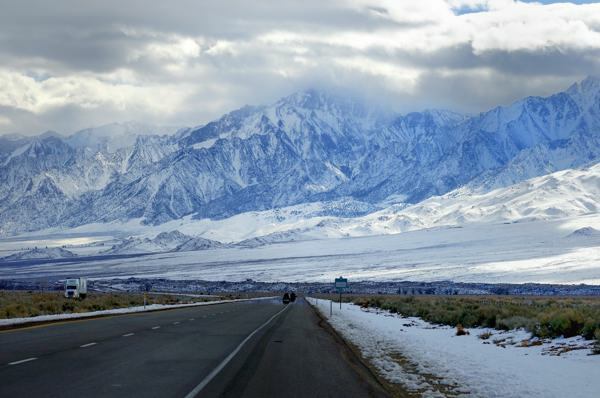 The Sierra is home to approximately 600,000 people out of a state of 40 million. Funding to protect this wealth of natural resources is not only slim but the mountain range crosses many jurisdictions each with their own set of unique environmental and political issues to face. As my internship started, I was lucky enough to realize that my thesis interests directly coincided with some of the work that is being undertaken by my organization. Creating water management policies that counties will actually implement in the Sierra is one that is of the utmost importance and is also incredibly difficult to research. At the same time, however, it is an issue that I was truly passionate about and willing to tackle. Given my extensive background in water policy and water resource management, I was assigned the task of researching the Integrated Regional Water Management process to begin to identify “model policies” that could be adopted into Sierra counties’ General Plans. Outside of work, the office staff are all incredibly active people. Almost all of them run, bike, work out, or swim on a daily basis and even have a softball team. I quickly found myself being incorporated into the active atmosphere of the office and have even managed to develop a sweet tan. I will part with one final thought, bridging the science-policy gap can lead to the creation of a golden rule policy but bridging the policy- implementation gap is where you must “cut” the Gordian Knot.